Did you know skunks could spray that nasty spray they are infamous for, to a distance of up to 10 feet? 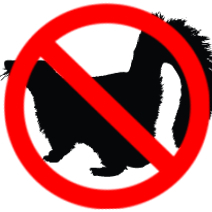 Well, surely, the awful stink this action raises is the most popular, or unpopular thing associated with skunks, but there is a lot more to these animals too. And plenty of their characteristics or actions actually make them a nuisance and even a health hazard to have around your property. On the health front, even the seemingly harmless skunk spray has its adverse effects, and we are not only talking about the odor that can travel up to more than a mile and a half! Get this spray onto your body and you could be spending hours in the bathroom trying to get rid of it. Getting it into the eyes may even cause temporary blindness. Apart from the sulfuric spray itself, skunks are also capable of other damage to your health as well as that of your pets, and this includes spreading the deadly rabies virus. There is another long list of diseases these animals are capable of spreading too. Even your property isn’t safe from these pests, as the burrowing habits of skunks are enough to cause considerable damage. Even the foundation of your house is at risk. 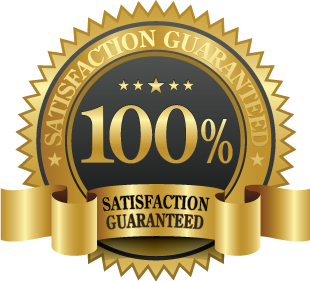 If you are up against a skunk invasion and are at a loss on what to do next, simply give us a call on 647-360-6046 and we will do the rest. 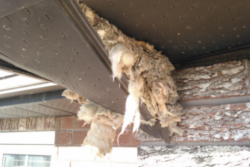 At Skunk Removal 647-360-6046, we have all the right techniques to tackle every skunk invasion problem. The nasty stink that skunks use as part of their defense mechanism isn’t the only danger they pose. Did you know? 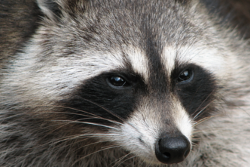 These seemingly harmless creatures can pass on highly harmful and even some potentially fatal diseases like Rabies, Leptospirosis, Intestinal Roundworm, Canine Hepatitis and Canine Distemper among others. Rabies is clearly the disease to worry about here, and skunks have been identified as primary carriers of this deadly disease. 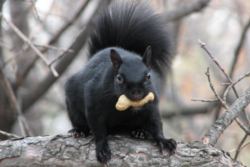 A simple scratch or even a small bite from an infected animal can transmit the virus from a skunk to other animals and even humans, so avoiding direct confrontation is always a good idea. Skunks love burrowing, and have really strong front legs to do it well too. The animals burrow for two primary reasons, to build a den for themselves or their young, and to find insects, grub and other small rodents. However, in the process of setting up a home for themselves or finding food, skunks end up destroying human property. Whether it is digging up a beautiful lawn or even weakening the foundation of a house by digging under it, skunks can be quite the irritation, and even cause financial damage. At Skunk Control 647-360-6046, we have seen just about there is to see in skunk invasion stories, and we have the right tools to tackle them too. Call us today on 647-360-6046 to fix an appointment inspection with us.